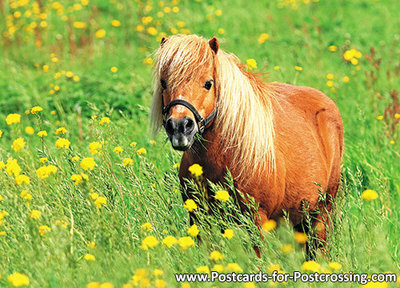 - Beautiful photo of an Shetland pony on 300 g / m2 postcard paper. 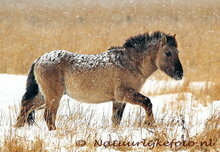 - The size of this postcard from a Shetland pony is 10x15cm (DIN A6). - The front is finished with glossy UV varnish. - There is enough space on the back for writing. - Delivery without copyright notice on the bottom, the price includes VAT. 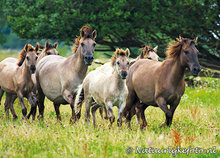 - This postcard from a Shetland pony is available from stock. Volume discount - when you order 5 or more of this postcard from a Shetland pony, you get a discount.